We can modify your structure for complete snake prevention. Snakes like to live underneath houses. As reptiles, they enjoy the warmth. Poisonous snakes live in almost all parts of the United States. 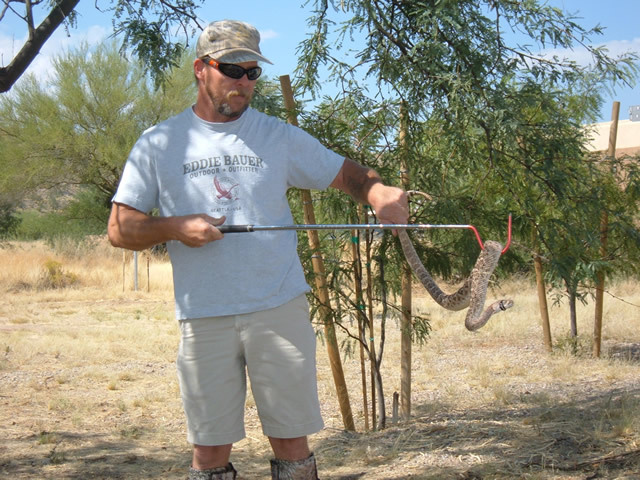 With the proper tools and techniques, a wildlife control operator can take care of your snake problem. Contact a professional snake removal specialist in your area. When snakes invade homes, they are a nuisance whether they are poisonous or not. They are quiet creatures and easily startle people. Their unique, serpentine movements are beautiful to some but give the creeps to others. Even people who recognize the value of these animals and like them will not tolerate them in the house. 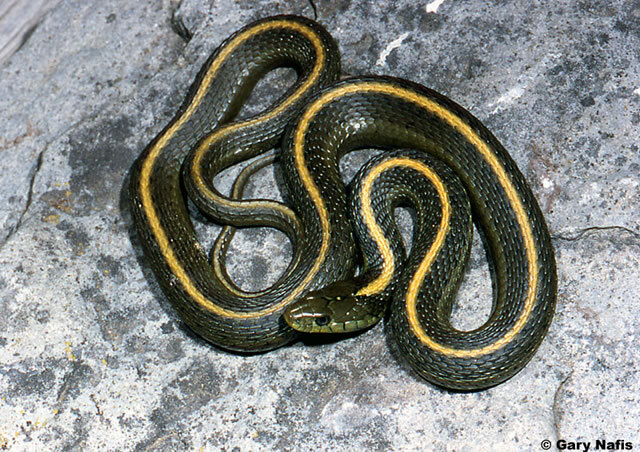 Although the vast majority of snakes living in the United States are not poisonous, it is better to be safe than sorry. And if a non-poisonous snake bites you, it still hurts! How can I get rid of snakes? Like all animals, snakes go where they can find what the things they need: food, water, and shelter. Take these away, and you take away their reason to stay. Trim shrubs and bushes. They love shrubbery because it conceals them and they can easily look for food while remaining unseen. It helps to keep shrubs and bushes away from the house. Mow the grass. They like tall grass because of the concealment it offers. They need to hide from their natural predators such as owls and hawks. Also, tall grass is home to animals that snakes eat: crickets, grasshoppers, and mice to name a few. Eliminate hiding places. Move wood piles, compost heaps, clutter, plywood boards, or anything else they could use for shelter away from the house or remove them from your property entirely. Fill any gaps beneath concrete slabs. Snakes look for such places to hide in and for cooling off on hot days. Get rid of rodents. They eat mice and rats. They are not attracted to garbage, but they are attracted to compost heaps, garages, and garbage cans because mice and rats like garbage. 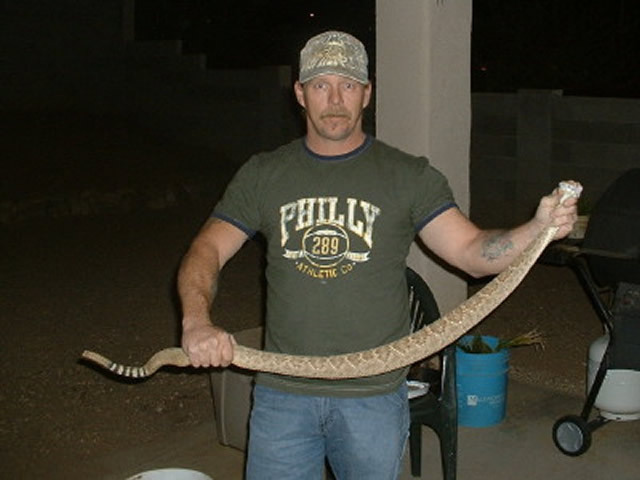 Take care of any rodent problems and you will have taken a big step toward getting rid of snakes. Get rid of insects. They dine on crickets, grasshoppers, and small bugs. I don't know how you would ever remove all the insects from your property, but if you could that would drastically reduce the food supply for snakes. Maintain your property. They can enter your building through a hole the size of a dime. Keep tight door seals and window seals, and repair all cracks in siding or retaining walls. Check underneath the porch and seal all gaps. Install a snake fence. To keep them out of an outdoor area, snake fencing can be installed around the perimeter. This product extends below the ground and above the ground, and has a slick surface that they cannot climb. Our technicians can assist you with the installation of this product. Hire a professional. 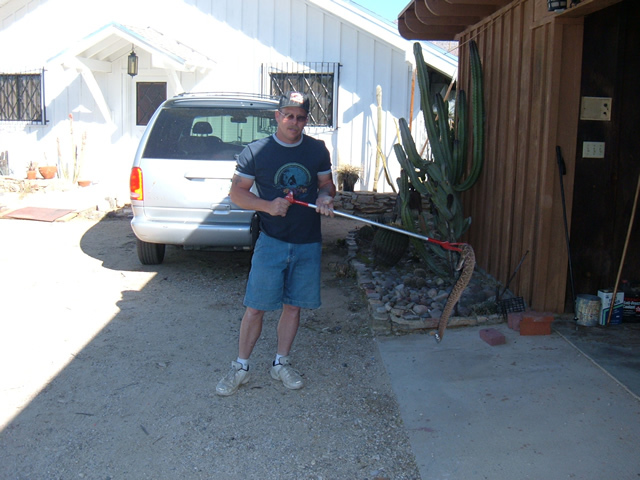 An experienced wildlife control operator can perform snake removal and give you more prevention information particular to your property. To schedule an inspection, call Allstate Snake Control: 1-888-488-7720. Snakes bring fear and trepidation to many people mainly because they do not know how to tell the difference between a poisonous snake and a non-poisonous snake. 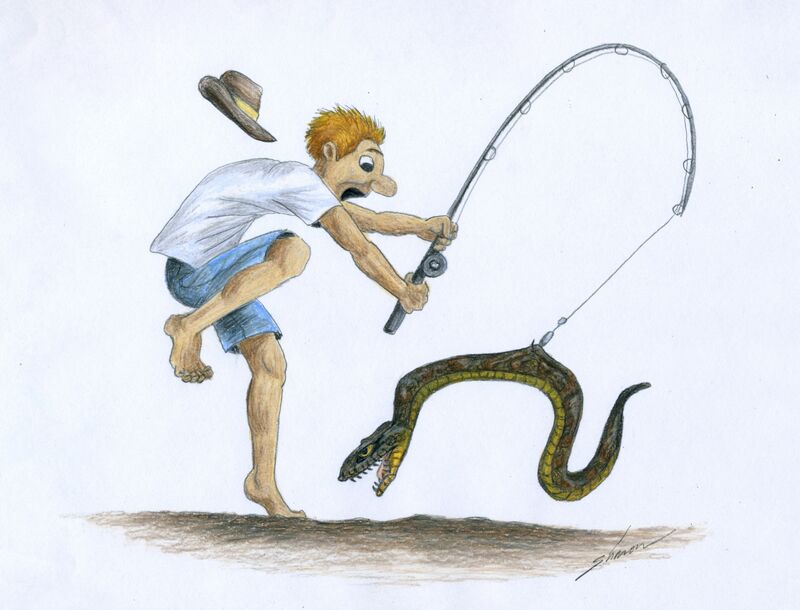 The fact that one bite from the wrong snake could potentially kill you makes people very uncomfortable with handling a snake problem. The truth is, the vast majority of snakes in the United States are not poisonous, but there are other health risks from having them around. 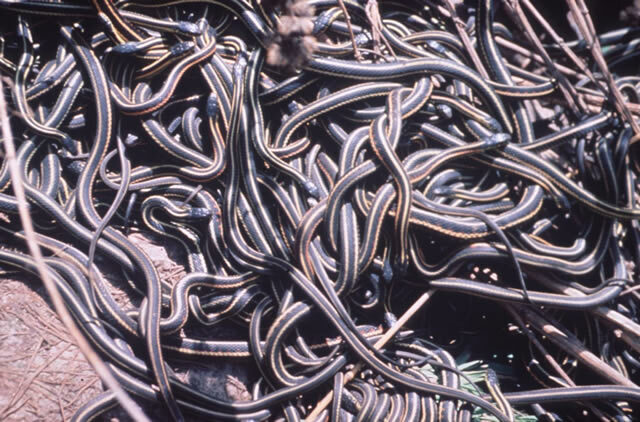 Risks include a plethora of parasites and the salmonella bacteria which are found in snake feces, or snake droppings. Here are descriptions of the four venomous snake species native to the United States. If you don't trust your snake identification skills, call a professional before approaching any snake. Rattlesnakes. These have unique rattles, which produce a sound similar to air escaping from a tire. There are approximately 30 species of rattlers to be found around the world, including the timber or canebrake rattlesnake, dusky pygmy rattlesnake, diamondback, and sidewinder. 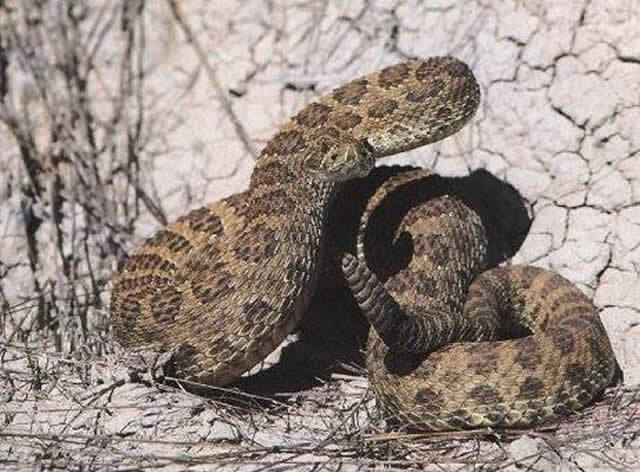 Rattlers have triangular heads. Cottonmouths. These sometimes aggressive snakes are dark gray or olive green, have triangular heads, and live near water.Water moccasin is a common name for cottonmouth. Copperheads. These have triangular, copper-colored heads and hourglass markings across the body. Coral snakes. These have red, yellow and black stripes. 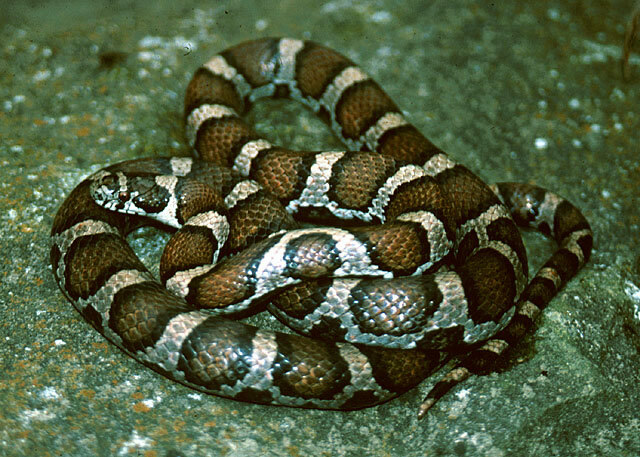 The milk snake, which is harmless, also has red, yellow and black stripes. If the red stripes are next to yellow, it's a coral snake and it is poisonous. Most of the time, snakebite occurs because the animal was stepped on or provoked. In any case, a person or pet could be bitten and care should be exercised to make sure all people and pets are safe. 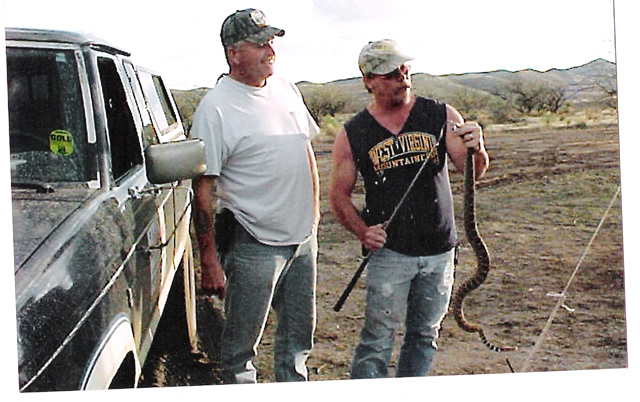 When our customers call us for snake control, we first inspect the property to assess the problem. We look for access points, food sources, and a variety of other factors. 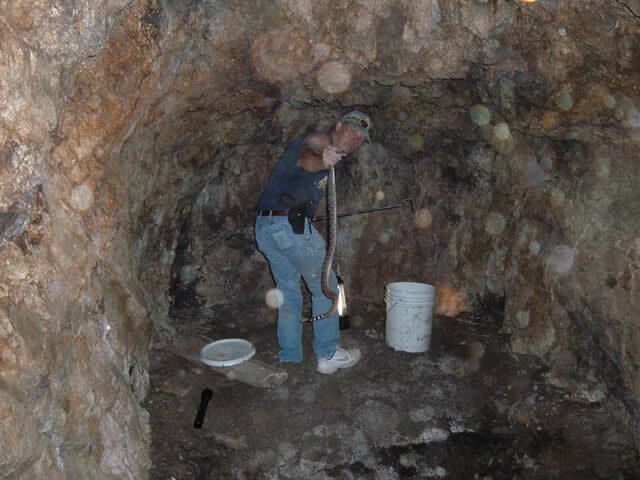 When they are located we physically remove them, either by hand or by using snake traps, tongs, or hooks. Once the animals are all removed we seal up the property through a process called exclusion; this is performed so that no more snakes can find their way inside the building. Lastly, we clean up the mess the animals left behind, sanitize the area, and deodorize. You may send us 5 to 10 digital pictures of your snake problem and we will give you a FREE cost estimate over the phone. Prices will vary depending on the severity of the problem and on the time spent on the job. Wild animals can be unpredictable; every job is unique and our solution will be custom fit to your situation. Check with your insurance for coverage. 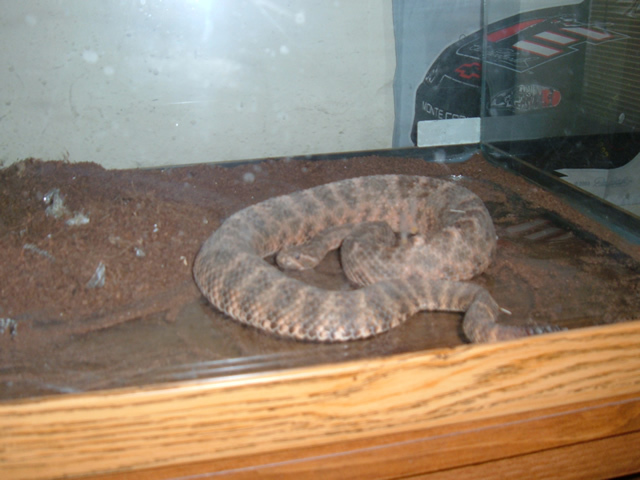 Read more about this pest animal at our Snake FAQ. We also offer expert coaching services for a fee, so you can do the job yourself. We can even ship the necessary traps, lures, etc. to you. We accept Visa and Master Card. We also take purchase orders and cash. Snake control can be a dangerous business. A professional will know what methods are best for each particular kind of snake. Getting rid of snakes means going places that snakes like to go to. This job is not for the faint of heart. An experienced trapper will assist you with snake identification. In their proper place, snakes are fascinating creatures. In your home they can be downright intimidating. 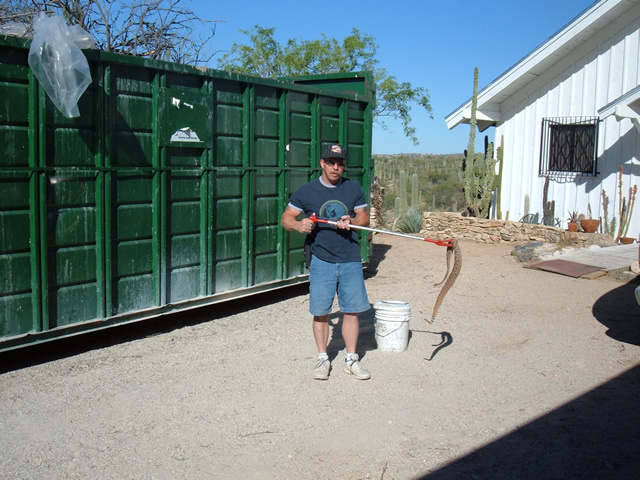 Snake trapping requires the proper tools and skills. This snake is almost as big around as his arm. Milksnakes have beautiful colors and patterns. 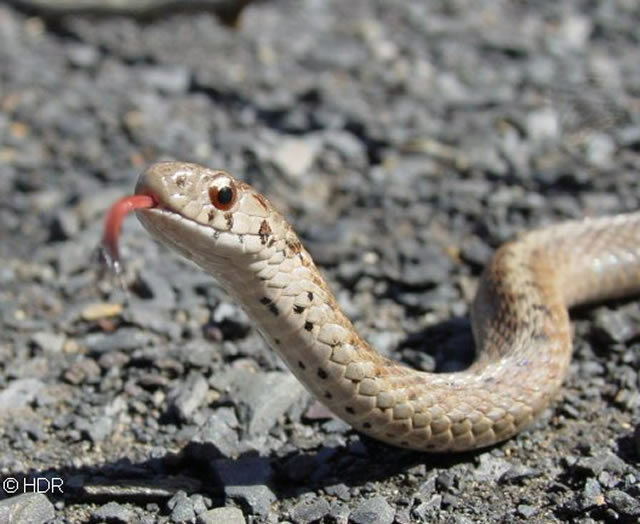 All snakes slither, hiss, and have forked tongues.